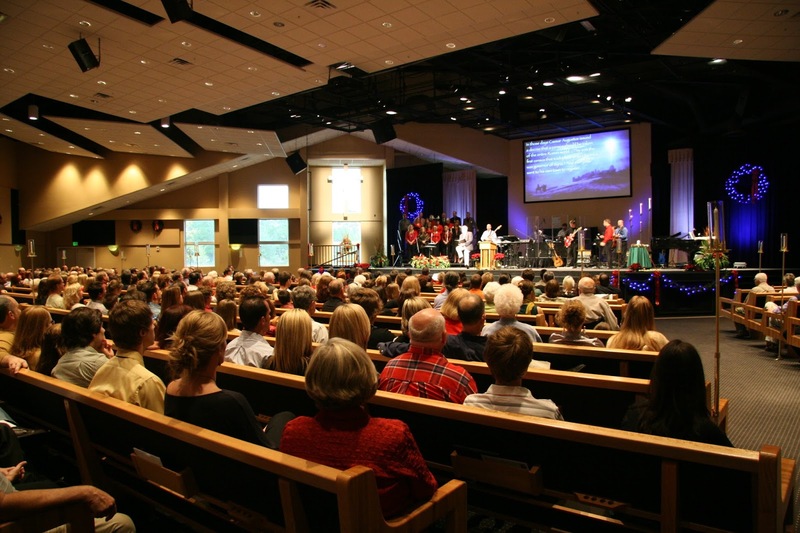 I am often asked, "What's the best way to know whether or not a church is worth joining?" My answer often surprises people. The measure of the greatness of a church is not seen in the size of the church, nor the missions emphasis, nor the children's or youth programs, nor the style of worship. Neither is it measured by the kind of church governance (e.g. elders, congregational, etc.) nor by the relevant ways the church seeks to make an impact in the community. A church is worth joining if the message emphasized is God's love for sinners in Christ rather than a sinner's love for God by commitment. If a person's love for God is always emphasized to the neglect of God's love for persons; or if one is constantly challenged to be "fully devoted to God" rather than the glorious gospel of "God being fully devoted" to His people in Jesus Christ, or if a person's love for God is always questioned and compared to another person's love for God (especially those who lead) through a verbal "measuring of each other's personal holiness," then you should put on those proverbial sneakers and run from that church as fast as possible. Church leaders who feel it their duty to "get people to love God more" by controlling the movies they see or the books they read or the tertiary doctrines they believe is church leadership that has gone astray. 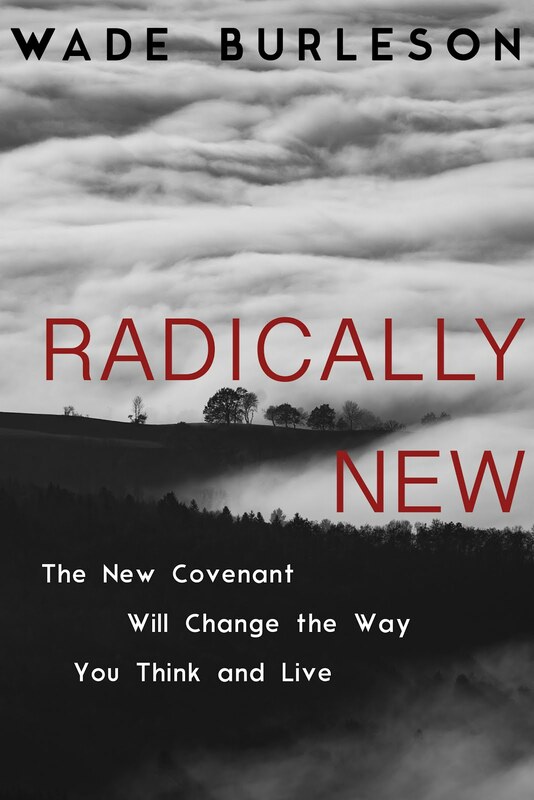 When there is more of an emphasis on the covenant you sign to join a church than the covenant God sealed when He gave you His Son, then you've entered a land of law, not liberty. In the New Testament, the emphasis is always about God's love for sinners in Christ. When sinners are captivated and overwhelmed by the unconditional, eternal, and transformational love of God in Jesus Christ, we sinners come to a place of personal liberty to "love others as Christ loves us." 7 Beloved, let us love one another, for love is from God; and everyone who loves is born of God and knows God. 8 The one who does not love does not know God, for God is love. 9 By this the love of God was manifested in us, that God has sent His only begotten Son into the world so that we might live through Him. 10 In this is love, not that we love God, but that He loves us and sent His Son to be the propitiation for our sins. 11 Beloved, if God so loves us, we also ought to love one another. 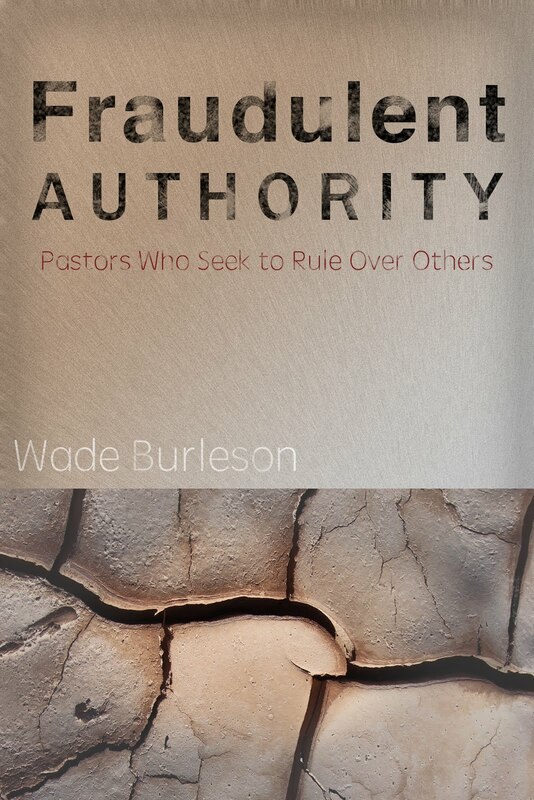 The above passage contains an inviolable principle of relationships that many churches miss. We are only at liberty to love other people as Christ loves us when the emphasis of gospel preaching is about God's love for us in Christ. So next time you consider a church home, listen closely to the words of the person on the platform. Those who spend more time controlling and directing the conduct of the people than championing and declaring the love of God toward people in Christ are showing tell-tale signs of a pervasive belief in their "spiritual authority" over people rather than their "gifted service" to people. Sir Roger Moore died at the age of 89 this week, and condolences and remembrances have been placed on social media from around the world. One particular tribute from Mark Haynes caught my eye. The anecdote Mark tells about "James Bond" reveals the power of kindness toward a child, something worth remembering by all of us who have the pleasure of being around children on a regular basis. "As a seven-year-old in about 1983, in the days before First Class Lounges at airports, I was with my grandad in Nice Airport and saw Roger Moore sitting at the departure gate, reading a paper. I told my granddad I'd just seen James Bond and asked if we could go over so I could get his autograph. 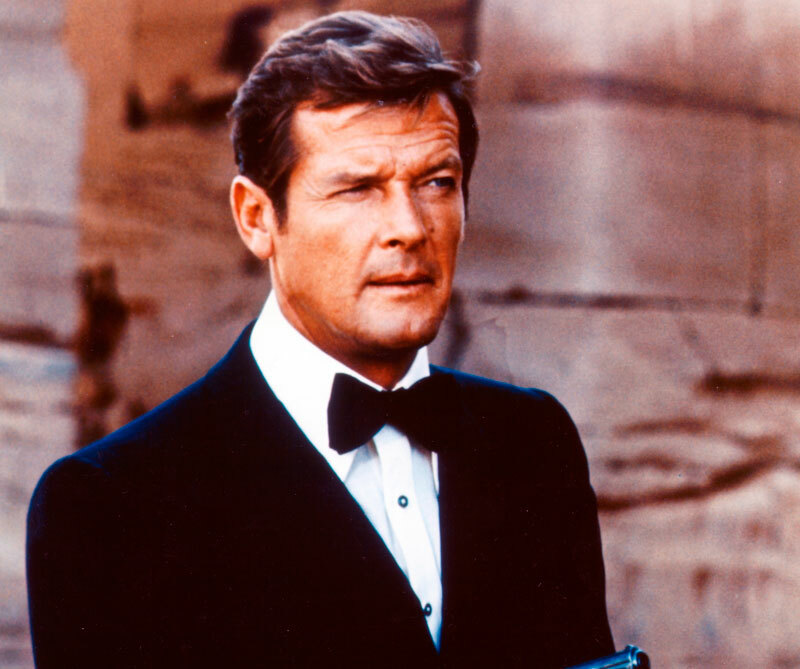 My grandad had no idea who James Bond or Roger Moore were, so we walked over and he popped me in front of Roger Moore, with the words "my grandson says you're famous. Can you sign this?" Yes, indeed, Mark. Thanks for sharing. America erupted in a firestorm of politics, name-calling, and backlash over the firing of James Comey as FBI Director. There are possibly many lessons one can learn from this chapter in American politics, but I may be the only one who offers a grammar lesson. Comey issued a "good-bye" letter to the FBI. I first read the Director's letter on my ABC News Twitter feed. After reading the letter, a comment from a fellow Twitter reader caught my eye. Sweetie Bird wrote of Director Comey, "He uses the serial comma, and for that alone, I shall forever admire him." Of all the things Sweetie Bird could express her admiration about FBI Director Comey, it's "because he uses the serial comma" she decides to bestow her praise. He uses the serial comma. I laughed when I read that statement. "In times of turbulence, the American people should see the FBI as a rock of competence, honesty, and independence." The last comma in that sentence (in red so you can see it) is the serial comma. It's the last comma in a list of three or more items and usually comes before the word "and" or the word "or." If you read newspapers a great deal, you won't see the serial comma because newspapers don't use it to save space. More and more book publishers are also not using the last comma in a series of items, and according to experts in grammar, the serial comma is truly an optional comma. You don't have to use it. Unless you are a grammar snob. The serial comma is also called The Harvard Comma or the Oxford Comma because those two institutions and their publishing houses would die before they allowed any book they published to hit the market without the serial comma. It's expected, demanded, and enforced (visual pun intended). Typically, we all might say, "Who cares?" Except, in this one point I side with the snobs. Let me show you why. Those interviewed were Merle's two ex-wives, Kris Kristofferson and Robert Duvall. Those interviewed were Merle's two ex-wives, Kris Kristofferson, and Robert Duvall. I always use the serial comma. If you've never thought about using it, the admiration Sweetie Bird expressed to Director Comey could be the impetus for you to begin. If you would like some assistance with proper grammar and punctuation in your writing, I would highly encourage you to download the free software for Windows or Mac called Grammarly. It is an essential for writers. Grammarly automatically corrects improper grammar, spelling, and the absence of the serial comma. This past Sunday, May 7, 2017, several hundred people gathered at Government Springs Park in Enid, Oklahoma for the 102nd annual May Fete tradition. People around the world have celebrated May Day with May Pole dance rituals and other rites since the time of the ancient Romans. These May Day festivities celebrate the new life which dawns every spring. However, there is a very special connection to the May Fete rituals in Enid, Oklahoma and the history of America. (A.D. 1644 - 1718). Penn arrived in the New World in 1682 only to discover that the land of many trees King Charles had deeded to him - land known as "Penn's sylvania" which means "Penn's woodlands" - was already occupied by Indians. The Lene Lenape Indians, called the Delawares because they lived around the Delaware River, were the oldest of all the tribes in colonial America. They were called "The Father Tribe," and their leader, Chief Tammany (c. 1625-1701), was respected by all the other Indian tribes. The Delawares not only were the original inhabits of Pennsylvania, they also lived on Manhattan Island and other areas of the northeast. 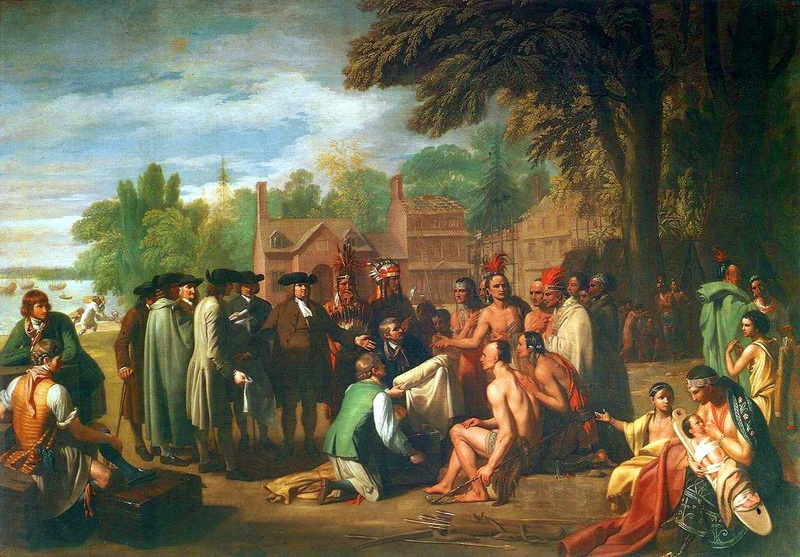 Rather than going to war with Tammany and the Delawares to to claim his land (as other Englishmen were fond of doing), William Penn put into practice his Christian principles and signed the very first treaty between Europeans and Native Americans. Called The Great Treaty, Penn agreed to purchase his land of Penn-sylvania from the Delaware Indians and promised that the Indians could live among his family and friends in Pennsylvania in peace and harmony. Penn reasoned that all men were created equal, and the principles of liberty, justice and peace are inalienable rights for humankind, regardless of heritage. Where William Penn and Chief Tammany signed the Great Treat, the city of Philadelphia (e.g. "the city of brotherly love") was founded. 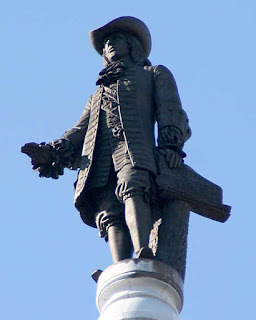 On top of the iconic city hall building of Philadelphia is a statue of William Penn, with the Great Treaty in his left hand, and his right hand pointing to Treaty Park where the treaty was signed in 1682. When you walk into the nation's Capitol Rotunda and look up to see the paintings representing the most important events in American history, the signing of the Great Treaty as portrayed by Greek painter Constantino Brumidi is one of the first events depicted. News of Europeans living in "brotherly love" with one another, rather than fighting and killing one another, became the major news event of the early 1680's. Colonial America erupted in joy in 1682 at the singing of the Great Treaty. Tammany signed the treaty with an X because he couldn't write his name, but he became the first iconic American hero and America's Patron Saint. Because colonial America was attempting to establish its own identity separate from England, May Day (May 1) in America was changed to Tammany Day in celebration of the principled behavior of this "red skin" named Tammany. Tammany Societies sprang up in all the major cities of the New World. Tammany Societies were political clubs built on the principles of equality, justice and liberty for all. 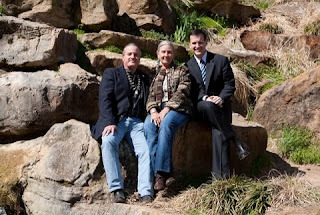 Tammany Day was a time of celebration and tribute to Tammany. People would attend Tammany Society meetings dressed like the famous American Indian in honor of Chief Tammany. In Boston, after a Tammany Society meeting, colonialists went to Boston Harbor "dressed as Indians" and dumped tea into the harbor because of their opposition to "taxation without representation" and the violation of the democratic principles of equality and justice. George Washington records in his diary on May 1, 1777, while encamped at Valley Forge, that his men were celebrating Tammany Day with great enthusiasm. They were fighting England over principles Tammany represented. In New York City, Tammany Hall became the headquarters of what became the Democratic Party in the United States. As recently as 1937, our nation's capital (Washington D.C.) honored Tammany by naming their new football team the Washington Redkskins and placed Tammany's face on their football helmets. blazed as they went, and he stopped everywhere there were natural springs in order for the horses to drink and the men to refill their canteens. On May 14, 1861, Black Beaver and the U.S. Army camped at Healing Springs in Enid (what is now called Government Springs). The troops eventually made it safely to Fort Leavenworth and in the subsequent years helped President Lincoln and the Union win the Civil War through their military leadership. The Confederates moved into Indian Territory from Texas and discovered that Black Beaver had guided the U.S. troops north to Fort Leavenworth. They were furious with Black Beaver, so they destroyed his house, burned his crops, kidnapped his family, and put a bounty on his. Word came to Black Beaver of what the Confederates had done even before the troops reached Fort Leavenworth. He was forced to stay with Wichita Indians in southern Kansas (current day Wichita, Kansas) until the war ended (1865). After hostilities ceased, Black Beaver's good friend, Jesse Chisholm, who had stayed with Black Beaver for the duration of the war, asked Black Beaver, "What's the best route to get to my trading post on the Canadian River?" 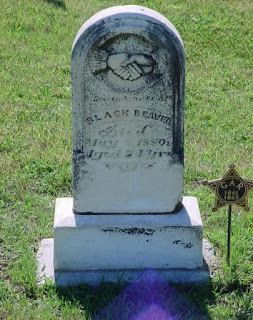 Black Beaver responded, "Follow the trail I blazed four years ago with the Union troops." Chisholm did, and soon that trail became known as "Chisholm's Trail." But don't tell that to the Delawares. 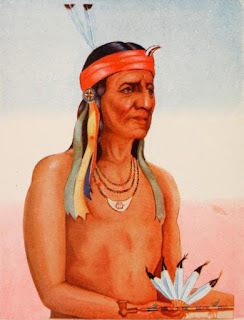 The trail from the South Canadian River north to Kansas was blazed by Black Beaver and to this day, it is known by the Delawares as "Black Beaver's trail." 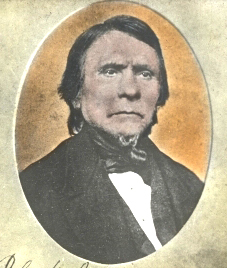 After the Civil War, Black Beaver returned to Oklahoma and rebuilt his farm. He eventually became a Baptist preacher. Of all the American heroes in our country, Black Beaver is probably the least known - except by our military historians. In anticipation of our 1776 bi-centennial celebration, the United States government commissioned the exhumation of Black Beaver's body at a private cemetery, and with full military honors, reburied him at the United States Army's Fort Sill where you can see his grave today. Before Black Beaver died, he was asked by a reporter "Do you have any regrets for guiding the troops north?" He responded, "Just one. I was charged with keeping the original Great Treaty signed by my grandfather Tammany and William Penn in 1682. I kept it above my mantel in my home, and when the Confederates burned my house, the Great Treaty burned with it." So, the Great Treaty signed by Penn and Tammany, the act which began the city of brotherly love (Philadelphia), burned in a little farmhouse in southwestern Oklahoma. Nation. His name is Kerry Holton, and he's a friend of mine. I find it ironic that Kerry Holton was born at St. Mary's Regional Medical Center in Enid, a hospital which sits just to the north of Healing Springs (Government Springs) park. This park of natural springs is the very place where Black Beaver camped with the Union troops in 1861. I also find it fascinating that when citizens of Enid surround the park for the May Fete celebration every May, they are indirectly honoring Chief Tammany, the man for whom America's forefathers renamed May Day as Tammany Day. 1. May Fete celebrations have their roots in the traditional May Day holiday. 2. Chief Tammany of the Delawares signed the Great Treaty with William Penn in 1682. 3. The Founding Fathers changed May Day on May 1 to Tammany Day in honor of Tammany. 4. Tammany Societies formed in every major city, the forerunners of our political parties which were built on the principles of justice and equality for all men. 4. Tammany's great-great grandson, Black Beaver, took part in the Civil War's first secret mission, most of which played out during the first month of the Civil war and included Healing Springs. 5. Black Beaver and 1,000 Union troops - including seven future army generals - camped at Healing Springs (now Government Spring in Enid) on May 14, 1861. 7. Black Beaver's great-great grandson Kerry Holton was born at St. Mary's Hospital in Enid (located next to Government Springs) in 1961. 8. 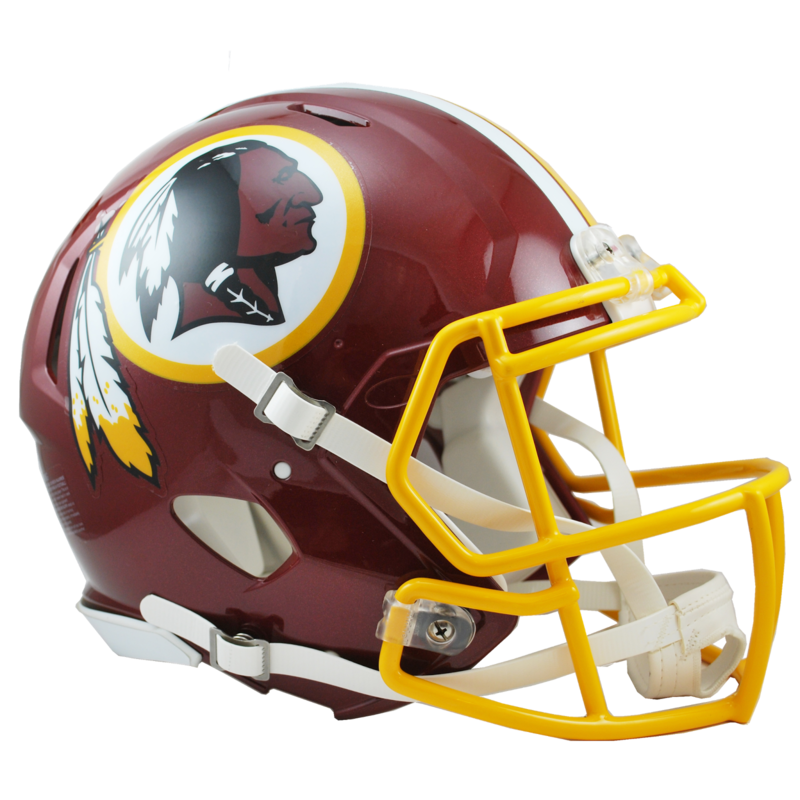 Kerry Holton is now the President of the Delaware Nation. 9. 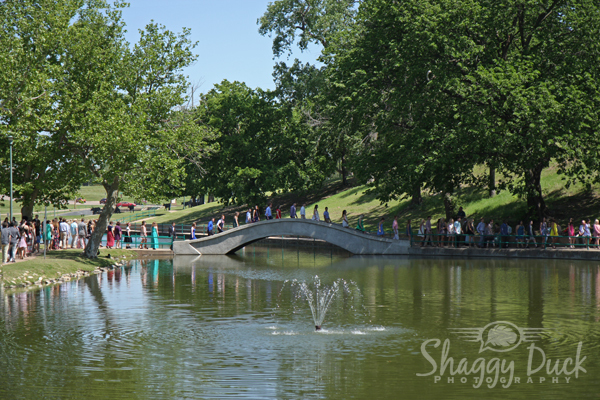 When people from Enid High School celebrate May Fete at Government Springs park every May, there is a very close connection to the beginnings of our great nation and the principles of democracy. 10. If you are ever near Government Springs in the future, pause and reflect on the privileges you enjoy as an American and a citizen of the great state of Oklahoma. 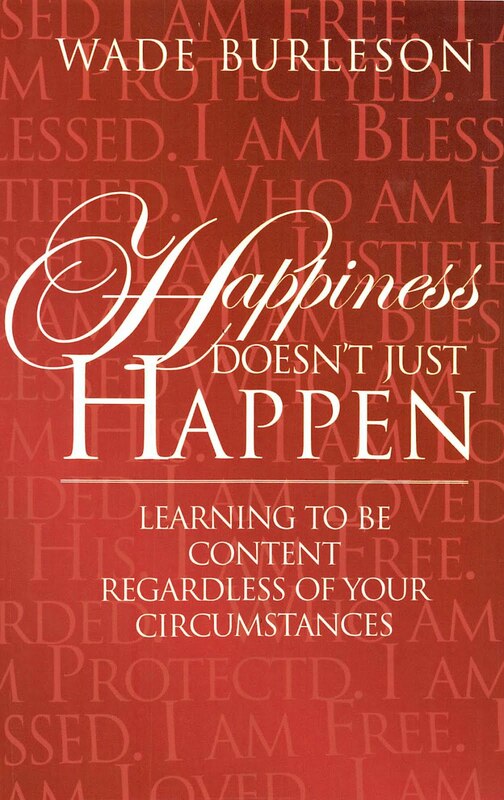 Each of us strives for life to be as comfortable and convenient as possible. We work hard at trying not to work hard. Life is good when we eat well, sleep well, work well, play well, see well, hear well, earn well, and relate well. But what happens when "the well" runs dry? I'm old enough and wise enough to know that everyone's "well" will run dry at some point. The Christian health and wealth gospel is a sham. The idea that followers of Jesus will always physically and financially prosper in this life is foreign to the teaching of Christ and the apostles. Paul said, "Don't be shaken by these afflictions we are going through. For you yourselves know that we are appointed unto this" (I Thessalonians 3:3). The temptation we all face is the tendency to measure God's love for us by how well our circumstances are. When things are going well, we seem more prone to feel God's love. However, when things aren't going well, "Where is God's love for me?" Our pain is only exacerbated when we pray and ask God to remove our afflictions, only to have our circumstances seemingly worsen and our pain intensify. So how can I measure God's love for me when things are no longer as comfortable and convenient as they once were? How can I avoid falling into the trap of believing that if God really loved me, He would remove from my life those things that are causing me suffering and pain? When the prophet Zechariah wrote, "Whoever touches you touches the apple of God's eye" (Zechariah 2:8), the people of God in Judah were suffering mightily. Zechariah used vivid language to give hope to God's people. You are the "apple of God's eye," the prophet declared. What does that mean? The eyeball, or globe of the eye, with the pupil in the center, is called the "apple" because of its round shape. The eyeball has great value and is carefully protected by the eyelids which automatically close when there is the least possibility of danger. That's why in Scripture, the "apple of the eye" is an emblem of that which is most precious and jealously protected. The Hebrew word translated apple is 'ishon, which means "little man." It is the diminutive of 'ish, which is the Hebrew word for "man." So the Hebrew term "apple of the eye" or "little man" is a specific reference to the center of the pupil where there is "the little image of oneself when looking into another's pupil" (Davies' Lexicon). When you look at your heavenly Father in the midst of your pain, you should always remember that you are "the apple of His eye"
That's right, you are His eyeball. So because you are His eyeball, when you hurt, He hurts. Or, as the prophet Isaiah said, "In all your suffering, He is afflicted! "(Isaiah 63:9). When you are irritated, so is He. When you are in pain, He too feels it. When you are uncomfortable, He is uncomfortable. You can't have an affliction come your way and your heavenly Father not feel that affliction as well. 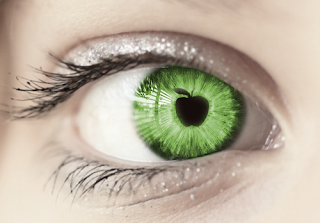 You are the "apple of His eye." So this is how I must measure God's love when "the well" in my life runs dry. I must realize my Heavenly Father feels with me. Then Why Does God Not Remove It? There can be, and there is, only one answer. Something better is coming my way. It's the same reason the weightlifter strains under the weights - for the strength that comes. It's the same reason a business owner will endure struggles - for the profit that comes. It's the same reason Christ endured the pain of the cross - for the joy that was to come. It's the same reason that we will endure any pain willingly - if not enthusiastically - when we KNOW that something good is coming our way. Here's the hard part. Most of the "good" coming my way is all about God conforming me to the character of His Son (Romans 8:29). Becoming like Christ is God's plan for me. In my experience, the painful times in my life have done more to shape my character than all of the comfortable and convenient times combined. Recently I read a story that a missionary told about his son and a cranky woman they met in a restaurant. "Last week, I took my children to a restaurant. My six-year-old son asked if he could say grace. As we bowed our heads he said, "God is good, God is great. Thank you for the food, and thank you more if Mom gets us ice cream for dessert. With Liberty and justice for all! Amen!" Along with the laughter from the other customers nearby, I heard a woman remark, "That's what's wrong with this country. Kids today don't even know how to pray. Asking God for ice cream! Why, I never!" Hearing this, my son burst into tears and asked me, "Did I do it wrong? Is God mad at me?" I assured him that he had done a terrific job, and God was certainly not mad at him. An elderly gentleman approached the table. He winked at my son and said, "I happen to know that God thought that was a great prayer." "Really?" my son asked. "Cross my heart," the man replied. Then, in a whisper, he added (indicating the woman whose remark had started this whole thing), "Too bad she never asks God for ice cream. A little ice cream is good for the soul sometimes." Most people when they read that story will focus on the cranky woman. I'm captivated by the father of the boy. He felt the pain of the woman's attack too. It was his son crying out. The father felt with his son as if he himself were in pain, but he did not remove his son from the uncomfortableness of the affliction. The father ministered to his boy in the affliction and allowed others to come alongside to offer grace and help in his time of need. As a result, something unforgettably good happened to his son. My affliction is like a cranky old woman yelling at me for my shortcomings. My Heavenly Father hears the shouts, and He and others whisper grace to my soul during my dark moments, teaching me in the midst of my affliction far more than I'd ever learn without it. Painful afflictions aren't fun. We all want them gone. But if our Father isn't standing up and kicking the old woman called affliction out of the restaurant, it's because He knows there's something better we can learn from her yelling at us than we'd ever be able to learn without her. May Day is a traditional holiday throughout the northern hemisphere of the world, celebrating the dawn of spring. May Fetes, May Poles, May Queens, are all part of May Day celebrations in various countries. It's a time for celebrating. But I know May Day (May 1) as a day for remembering. It's the day missionary David Livingstone died. It's worth remembering how he died. David Livingstone died while praying on his knees beside his bed in the interior of Africa. Send me anywhere, only go with me. To Your service and to Your heart. This phrase captivated the heart of Livingstone. The London Missionary Society eventually sponsored Livingstone as one of their missionaries, and they sent him to South Africa as both a doctor and ordained minister in November 1840. Livingstone went with the intention and backing of the LMS to take the gospel to the interior of the Dark Continent (called "Dark" because people in Europe knew very little about it). Livingstone was 27 years old. As Livingstone began his work as an African missionary, his spirit is encapsulated in my favorite Livingstone quote, the motto for my own life - “I am prepared to go anywhere, provided it be forward." From South Africa, Livingstone indeed moved forward into the interior of the Dark Continent. Thus began a life of walking Africa that would take him more than 29,000 miles back and forth across the continent's vast interior. As Livingstone moved from place to place, his goal was Jesus in the hearts of the Africans, and knowledge of the land. Five years after arriving in Africa, Livingstone went back to the coastline and married Mary Moffett, the daughter of the missionary Robert Moffett. Their first two children were born during the couple's two-year exploration of the Kalahari Desert. David sent his wife and children back to England shortly after the birth of their second child because Africa was "too dangerous for small children." In addition, Dr. Livingstone wanted his children to receive a proper education. “Mary, why don’t you take them home to England? I’ll come as soon as I can.” Mary left Africa in 1851. It would be five years before Livingstone could make it to London. When Mary laid eyes on David in 1856 at the London port, she did not recognize her husband. During one of his missionary explorations, the branch of a tree blinded his eye and scarred the other. In addition to his mutilated face, Livingstone’s skin had been poached and weathered by the sun and elements. His Scottish skin pigment unsuited for the equatorial sun, Livingstone had been roasted. A lion also had mauled him in the bush, nearly tearing off his arm, giving Livingstone a massive scar on his shoulder. David walked with a limp and had seemingly aged decades in just five years. Just hours before his arrival in London, the family had buried Livingstone’s father. David wept on his wife's shoulder at the news, for he had longed to stories firsthand of missionary adventures his father had only told him second-hand when he was a child. For two years (1856-1858), David Livingstone toured Great Britain, lecturing Englishmen on his discoveries and the advancement of the gospel in Africa. It is said that he never walked into a lecture hall without receiving a standing ovation. In 1858 he told Mary, “The smoke of a thousand villages still burns in my heart.” Livingstone returned to Africa later that year, sponsored by the pre-eminent scientific society of the day, the Royal Society. Livingstone went to Africa this time with more equipment and even a greater desire to end African slave trade. It was less than three years before the United States of America’s great Civil War would break out over the issue of slavery. After their children were grown, Mary Livingston rejoined her husband in Africa, only to die of malaria in what we now know as Mozambique on April 27, 1862. In his journal that night Livingstone wrote, "Today the words of God came to my heart again… 'Lo I am with you always with you, even unto the end of the age.'" Livingstone returned to London in November 1864 to publicly speaking out against slavery. He also published Narrative of an Expedition to the Zambesi and Its Tributaries and wrote about his use of quinine as a malaria remedy. In this book, Livingstone becomes the first person to recognize the connection between malaria and mosquitoes. Livingstone returned to Africa in early 1866, landing in Zanzibar, on the central eastern coast of Africa (modern Tanzania). This trip would be Livingstone's last exploration of the continent and would become the occasion for the spreading of his worldwide fame. Europe lost touch with Livingstone in shortly after he arrived in 1866. No letters got through. Nobody knew where he was. For nearly six years Livingstone was lost on the Dark Continent. The entire world's interest in the Scottish missionary grew as newspapers around the world recounted how the missionary scientist David Livingstone "had disappeared." The newspaper publisher of the New York Herald sent a reporter named Henry M. Stanley to Africa with the charge "Find Livingstone!" (which would, of course, sell newspapers). Of all the people affiliated with the state of Oklahoma, Henry Stanley's story and his subsequent discovery of David Livingstone is my favorite. From March 21, 1871 to November 10, 1871, Henry Stanley explored the interior of Africa, looking for Livingstone. Stanley led his caravan of nearly 2,000 men into the interior of Africa from Zanzibar. During the eight-month search for Livingstone, Stanley contracted dysentery, cerebral malaria, and smallpox. Henry Stanley and David Livingstone became fast friends, but Stanley would eventually leave Livingstone in 1872 to finish writing his bestselling two-volume book How I Found Livingstone. Less than a year after Stanley returned to the States, Dr. David Livingstone died. 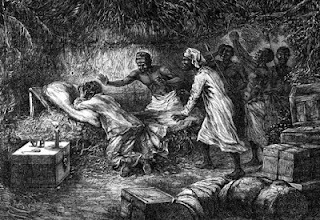 In the fall of 1872, just a few months before Livingstone's death on May 1, 1873, Livingstone's nearly sixty-year-old body began to shrivel with high temperature and pain. His porters carried him around Africa on a stretcher. During these painful weeks, Livingstone preached to the villagers while lying prone, propping himself up on an elbow. Livingstone buckled down on his knees by the side of his bed, clasped his hands and started to pray. His prayers were so profound, his sanctuary so unique, the Africans felt it would be blasphemy to stay in the room, so they stepped out. After a time someone came and asked to see Mr. Livingstone for a moment. “Shhh.. quiet please, he’s praying.” 5 minutes went by, he was still on his knees. Several minutes went by, the porters looked in. Livingstone was still on his knees. An extended period went by. They looked in again, and the missionary was still on his knees. Finally, one of the Africans felt Livingstone was too tired and had fallen asleep. He went in and shook him by the shoulder, and said, “Guana (white man), Guana…” As he shook his shoulder, Livingstone fell over. The great missionary was dead. Livingstone died exactly the way he had lived – in the presence of His Lord. My Jesus. My King. My Life. My All. I again consecrate myself to Thee. The porters took out Livingstone's heart and buried it at the base of an oak tree in his village. His two faithful Christian porters - whom Livingstone had won to Christ - embalmed his body and carried it 1,000 miles to the African coast to in order to ship the body back to England. Livingstone is buried in Westminster Abbey with this inscription. Brought by faithful hands over land and sea, here rests David Livingstone, missionary, traveler, philanthropist, born March 19, 1813, at Blantyre, Lanarkshire, died May 1, 1873, at Chitambo’s village, Ulala. Other sheep I have which are not of this fold; them also I must bring (John 10:16). I remember May 1 as the day Livingstone died while in prayer. It's a day worth remembering Livingstone and reflecting on my own life. I may fill pews and possess the praises of people, I may carefully carry out the clerical calling for a congregation, and I may be even deemed a citizen of stature within a city, but what I am on my knees in secret before Almighty God, that I am and no more.